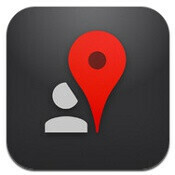 Google Places is now Google+ Local on iOS, as the the search giant pushes its social initiative, and that’s a good thing as under its new social networking umbrella Local provides you with Zagat reviews of places and also integrates the new voice search so you can simply speak to your device to find what’s the best place to dine tonight. The brand new Google+ Local comes with a more strict security mechanism that won’t allow just anyone who picks your phone to look up your places history and there’s an improved interface for faster discovery of places. Of course, the main highlights is that your places have now gone social and you can check out reviews from your friends on Google+. If you have any, that is.